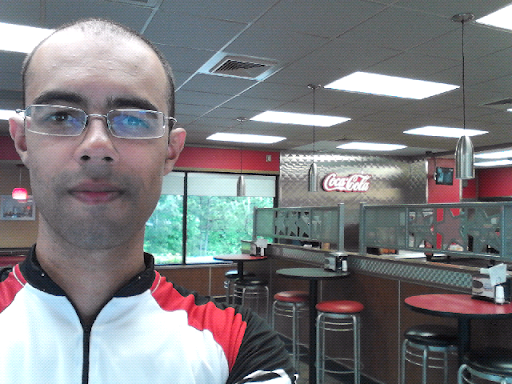 Having lunch at Hardee's. We are in Pell city right now. So far we covered almost 20 miles, 40 more to go. I guess we will arrive a little later than we thought, maybe around 7:30pm. Hopefully the upcoming thunderstorm won't reach us before then!